Tips and cost-saving design hacks for updating your décor for less. Whether you wish to brighten a single room for guests or redo an entire home this fall, where can you save? Many low-cost alternatives can provide high style at an affordable price. Here are 10 tips and cost-saving design hacks to keep in mind when you’re looking to get a luxury look for less. 1. Look for fabric blends. 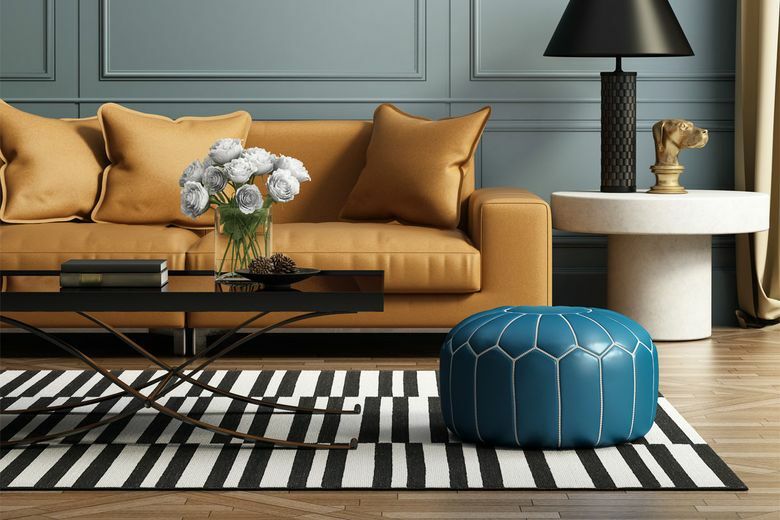 On everything from pillow fabric to area rugs, blends of various materials are often lower in price. 2. Consider indoor/outdoor materials and fabrics. A popular cost-saving designer hack is to use indoor/outdoor area rugs indoors. Typically, the rugs are modern in design, long-lasting and a fraction of the cost.Source locally. A large part of the cost of an item may be related to the cost of shipping and handling. Whenever possible, pick up an item in-store. 6. Go to sample sales. Sample sales, at which floor models are sold, are a way to score a great find at a fraction of the cost of a new item. While the items are sold as-is, they aren’t really used and in many cases are in like-new condition. 7. Use side tables instead of traditional nightstands. In many instances, using night tables will not only save money, but help to create a lighter look in a space. 8. Consider glass instead of wood. Glass tables are a lower-cost alternative in most instances.